What new features would you like to see in Android 5 Key Lime Pie? We're so fond of Android nowadays we're beginning to worry about getting weight. And how wouldn't we? With all those delicious desserts being so frequently served by the cooks at Google, it's almost impossible to resist. We might have recently gotten our second serving of Jelly Bean with the introduction of Android 4.2, but we're pretty sure that something more substantial is right around the corner - something that tastes like Key Lime Pie. At least, this is how Google is believed to name the next major iteration of Android. With Android 4.2 sticking to the Jelly Bean name, Key Lime Pie will probably be in the menu for Android 5, expected to arrive by the middle of next year. Unfortunately, there's almost no information currently about Android's 5th version, what new features it might include, and what direction it's going to take Android. However, there's one good thing in this and it's that we can freely speculate about all the new stuff that's going to make its way to the new OS! Personally, we'd like to see Google enhance the graphical user interface a bit. It did a tremendous job in this respect with Ice Cream Sandwich, but there's still a lot of room for improvement, and we know that Google's design team is up to the task - they just need to put some more effort into this aspect of the system. And we're not talking about the homescreen only; we're talking about a system-wide UI overhaul. For those who think Android's current GUI is just fine, just take a look at Matias Duarte's work in webOS - this guy knows how to create compelling user experiences (before moving to Google to work on Android, Duarte was leading Palm's Human Interface and User Experience team). Aside from that, it's really difficult to find other weak spots in Google's mobile OS (power management, maybe?). The search giant has added so much functionality and so many customization options that it's hard to find an unsolvable issue. But maybe you have some suggestions for the search giant? 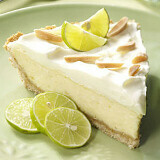 OK, then - what new features would you like to see in Android's next version - Key Lime Pie? LOL, but I think voice control will be more and more important. Both Android and iOS are moving in that direction with Google's technology is far ahead. I'd love Key Lime Pie to use voice more to control the phone like launching play list, turn by turn navigation... The developers will do many good things with the Voice Recognition API. And my favorite feature will be:- Official Youtube app supporting video downloading. I think there's more although security really needs to be improved in the next version. Like apple's devices are immune to security breaches. Seems like every celebrity phone that gets hacked and has contacts and pictures stripped and put online is an iphone. Android OS isn't perfect by any stretch but they aren't afraid to say it. You seem to believe that your Apple logo is superman. It's really not that insecure if you only download apps from where you're "supposed" to, the Google Play Store. Seriously, only .55% of all of the malware applications that people get on Android is from the Google Play Store, the rest is sideloaded, and that's taking a risk, and they did add a scanner thingy to that in 4.2. People need to be educated on the facts on the marketing of competition. 1080p native resolution, with support upto 32 bit color depth. Improved Power management. - multi-view, especially on tabs, c'mon Google, a monkey could do that. - regular widgets, google now, push messages to lockscreen - USB OTG for Nexus, c'mon, we want to move our files to pen-drive without root - offline navigation, POI saving, AR mode (already teased) - option to replace phablet UI with something more useful, google bar too - a stable, fast Chrome gawddamnit! I thought the Nexus 7 had USB OTG, so doesn't that mean the Nexus 4 would have it also? Nexus Media Importer. Works for all android devices w/o root. hi, im an ios user and i wish to have an android device. Dont get me wrong, ios is great. But i wanna try something beyond the ios. So which should i choose? Wat thing should i need to concerned? Is nexus better compare to other android? I suddenly got attracted by nexus 7 because of the attractive price, but i need a feedback, is nexus 7 really that good? Nexus is google brand, which main advantage is to have fastest updates for the OS. The Nexus 7 is not the best of the market, but the one that gives the best price/quality ratio by far, as low as $200 for quite a nice hardware. To get something with better HW you'll have to pay $100 more at least. For the rest: there are too many things to check to give you a full list, but at least check the processor, GPU, screen resolution, RAM an internal memory. Also taht microSD and MHL (HDMI) are included. I'm probaly missing serveral more... You can also check the cameras, but I normally only care about them on phones, not tablets. Seamless integration with Windows 7/8, Mac. Can we change the album photo of a certain album of music player in android..? Google has quality apps for tablets, it's other developers that need to stop being lazy. He must want Google to put a gun the Dev's head and order a tablet oriented app.